There is no doubt that Ajinkya Rahane is one of India’s highly coveted batting assets in Test cricket. His copybook playing technique, rock-solid defence and a monk-like temperament often remind us of the legendary former Indian batsman and captain Rahul Dravid. Moreover, the classy, defiant and often match-saving knocks that he has played in overseas conditions over the years has made him the mainstay of the Indian middle order in the longest format of the game. However, things have been completely the opposite for him when it comes to white-ball cricket. It has been six years since he made his ODI debut for India, yet he hasn’t been able to cement his place in the first team. An overall average of 33.83 in 75 ODIs doesn’t speak highly of a player who has an average of 46.07 in the longest format of the game. Although, no one will bat an eye on his Test strike rate which stands at 52.98, an ODI strike rate of 79.56 is definitely not something that can be associated with the modern day batsmen. Such a strike rate is a thing of the past now. Most ODI batsmen now strike at 90-100, that too with an average far better than that of Rahane. So, what are the reasons behind Rahane’s dismal numbers? The reason is his one-dimensional nature as a batsman. He is more of a batsman who can keep the scoreboard ticking than a batsman who can up the ante at any time. 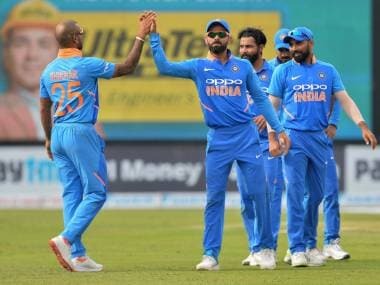 He had enough opportunities to prove his mettle at the top of the order even before the Rohit Sharma-Shikhar Dhawan partnership had flourished. However, he failed to make use of those opportunities and Rohit made full use of that. 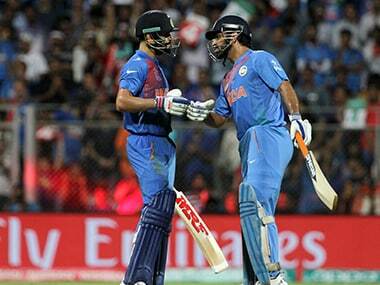 Rohit kept performing in that role match after match and Rahane fell out of favor from the opening position. However, that didn’t result in Rahane's complete ouster from the team as he was given the new responsibility of batting at No 4. But, he couldn’t do justice to that position in the upcoming matches and proved to be highly inconsistent once again. The Indian team management started trying and testing him at different positions of the batting order. In six years of his ODI career so far, Rahane has batted in almost every possible batting position starting from the top order to the lower middle order. Yet he hasn’t been able to completely fit into any of those positions. Cut to June 25, 2017. There was Rahane playing a knock that the fans and pundits had craved for watching all these years. He scored a scintillating century against the West Indies in the second ODI and it was unlike most of the knocks he had played in ODIs so far. Unlike the previous matches, he never looked like he was struggling at any stage of the innings. He looked to be in total control of the proceedings and manipulated the bowling according to his own sweet will. He scored at a run-a-ball throughout his innings and struck 10 fours and two sixes as well. When he departed for a knock of 103 off 104, his strike rate of 99.04 looked to be more attractive than the number of runs to his name on the scorecard. Although the knock was against a hapless ninth-ranked West Indies side who hadn’t even qualified to play in Champions Trophy, this innings was one of Rahane’s best among the few that he has played in his entire ODI career. Moreover, a score of 62 (78) in the previous match, which was abandoned due to rain, was also testimony to the sublime touch Rahane seemed to be in. However, the sad news is Rahane will continue to be the back-up option for Rohit in spite of his good performances at the top of the order. The plain and simple reason is that Rohit is a much more tempting limited-overs prospect than Rahane. Rohit is the kind of batsman who has the ability to play any kind of role — be it anchoring the innings the whole way or blasting right from the start — Rohit can do it all. Moreover, Rohit has the ability to up the ante of the innings anytime and can compensate for any number of deliveries he consumes at the start. However, Rahane's abilities are limited in this respect as he has often perished trying to play the big shots to release pressure. He is more of a 'touch and play' type of a batsman than being a 'slog and slam' type. Moreover, he struggles to score on slow pitches, where the ball does not come on to the bat. He fails to rotate the strike, builds pressure on himself and ultimately perishes. That is what has been his drawback during the past few years. Rohit coming back to the opening position means no room for Rahane at the top of the order. However, a place might just open up in the middle order for him as Yuvraj Singh and MS Dhoni are not in such great form. But with the arrival of players like KL Rahul and Rishabh Pant, it has become more difficult for Rahane to claim his place in the middle order as well. They are much more capable limited-overs batsman than Rahane and their versatility is what gives them the edge over him. 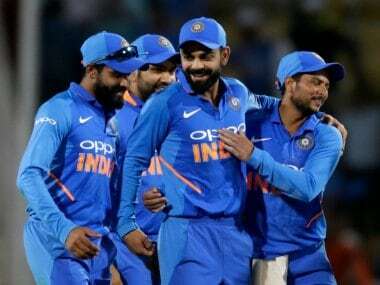 Moreover, it is not possible for India to keep backing Rahane every time as they have some strong players waiting on the fringes to make their mark. Yes, Rohit was lucky to have been backed for so many years in the team despite being highly inconsistent. The reason was that the team was in a rebuilding phase back then and India could afford backing a player with immense talent and potential. And that decision has paid rich dividends as we all know the kind of player he has become. However, Rahane does not have that kind of limited-overs talent that can force the team management to pursue with him until he comes good. There will be a time when his 'trial and testing' will come to an end. In these circumstances, Rahane needs to improve his slogging potential a bit. In modern days, a batsman is nothing in limited-overs format if he cannot slog at will. Since Rahane lacks that skill, he may soon fall out of favour in the near future. He needs to do what Dravid did a decade or two ago. He batted at almost every position starting from No 1 to No 7. The surprising fact is that he was successful wherever he batted as he improved his attacking skills to a great extent in a short time. That's what helped him his place in the ODI side for a long long time and the world also witnessed him scoring over 10,000 runs in the format. Similarly, it is time that Rahane does the same and adds that skill to his batting arsenal. He should take every match as his last because he may be flourishing as an opener right now, but he may not even feature in the playing XI in the future.